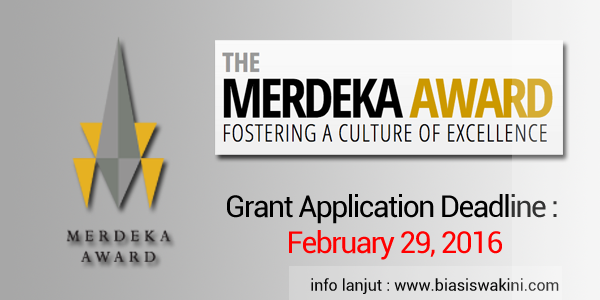 WELCOME TO THE MERDEKA AWARD GRANT 2016 FOR INTERNATIONAL ATTACHMENT. The Merdeka Award Grant 2016 for International Attachment was announced in conjunction with the 2011 Merdeka Award Presentation Ceremony by Prime Minister YAB Dato' Sri Mohd Najib Tun Abdul Razak. 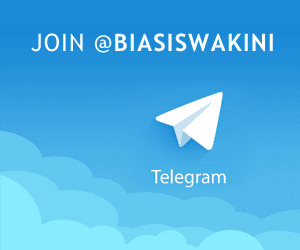 Maintain a Merdeka Award Grant for International Attachment blog, with a minimum of 2x weekly updates on his / her experiences in the course of the preparation for the attachment, the attachment itself and for a period of 3 months upon his / her return to Malaysia. This should include written accounts, as well as photos and mini-videos. Conduct a minimum of 6x speaking engagements upon his / her return to Malaysia, over the course of one year Recipient should be available to the Merdeka Award Secretariat for interviews and other publicity initiatives for a period of one year after his / her return. Application for the 2016 cycle is from October 1st, 2015 to February 29th, 2016. Application is only available online; the Merdeka Award Secretariat will not accept any hard copies or physical applications. 0 Komentar untuk "The Merdeka Award Grant 2016"